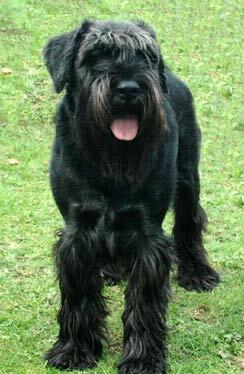 The Standard Schnauzer is a robust and heavy set dog of square proportion. The head is long and rectangular, and narrows very slightly at the nose and ears, which are small, v-shaped and high set, either cropped or uncropped. Dark brown, oval eyes are set forward. The top of the muzzle runs parallel to the topkull, separated by a slight stop. The face is characterized by abundant moustache and beard, as well as eyebrows that frame and accentuate the eyes. The body is strong, compact and efficient, allowing for both power and agility. The tail is set high, carried erect and docked short. 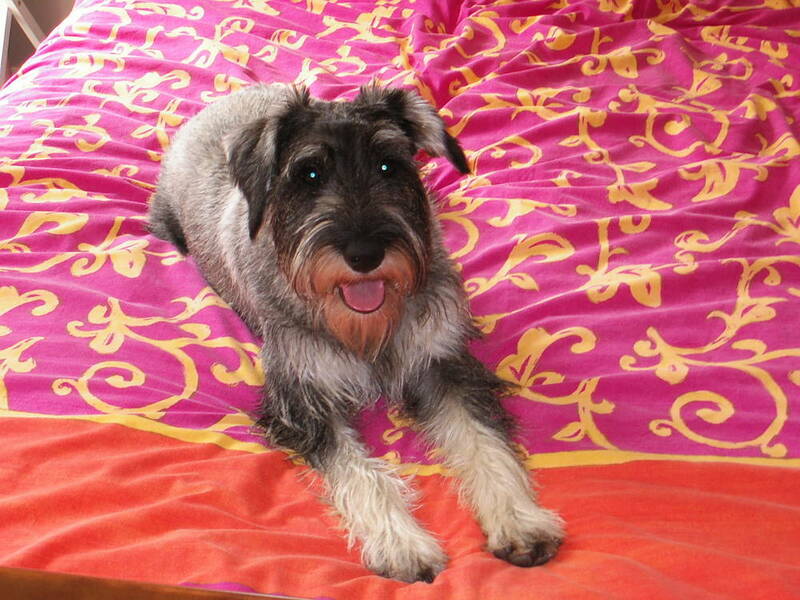 The Schnauzers soft undercoat is covered by a very thick, hard and wiry topcoat. Coloring is salt and pepper or solid black. Common Misspellings Standerd Schnauzer, Standard Shnouzer, or Standard Schnouzer. This breed is not particularly friendly toward strangers, other dogs or small pets such as rodents, and may become aggressive if it feels threatened. Make sure to socialize your Schnauzer properly during puppyhood by introducing him to as many people and animals as you can; this will help to curb potentially deleterious behavior during adulthood. The Standard Schnauzer is friendly toward cats and children. Do not be misguided by the Standard Schnauzers protective nature and working heritage most owners of this breed describe their dogs as clownish, with an excellent sense of humor. Daily outings to the park are encouraged, as are long walks and vigorous games. The Standard Schnauzer is capable of living outside, but this is not recommended because it will make proper socialization more difficult and time consuming. This breed can be headstrong at times, but do not let this cause you to neglect your obedience training responsibilities. The dogs coat should be brushed twice a week, and requires clipping (for pets) or stripping (for show dogs) every four months. 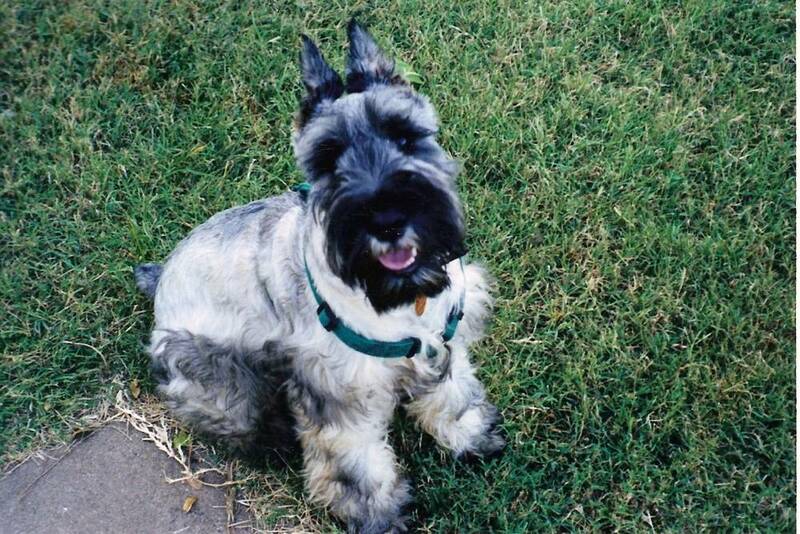 The Standard Schnauzer carries no prevalent and life threatening hereditary illnesses, though some dogs are known to develop canine hip dysplasia and follicular dermatitis. Originating during the Middle Ages, and known in Germany since the 13th or 14th century, the Schnauzer was developed as a ratter, hunter and guardian. The dogs ancestors came from hunting, working and terrier backgrounds, and likely included the Wire Haired Pinscher, Gray Wolf Spitz and Black German Poodle. Renaissance artists including Rembrandt, Durer, Reynolds and Cranach the Elder have all painted Schnauzers at one time or another. 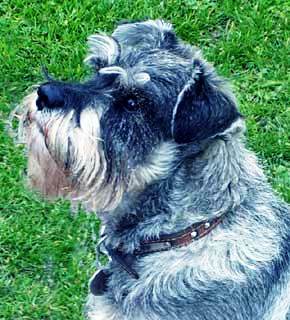 The Standard Schnauzers terrier-like appearance caused it to originally be classified as a terrier both in Germany and elsewhere. The dog was first shown in Germany in 1879 under the breed name Wirehaired Pinscher (Pinscher is a German word meaning Terrier), though in the same year a particularly distinguished specimen of the breed named Schnauzer (German for small beard) would become the namesake for the entire breed. 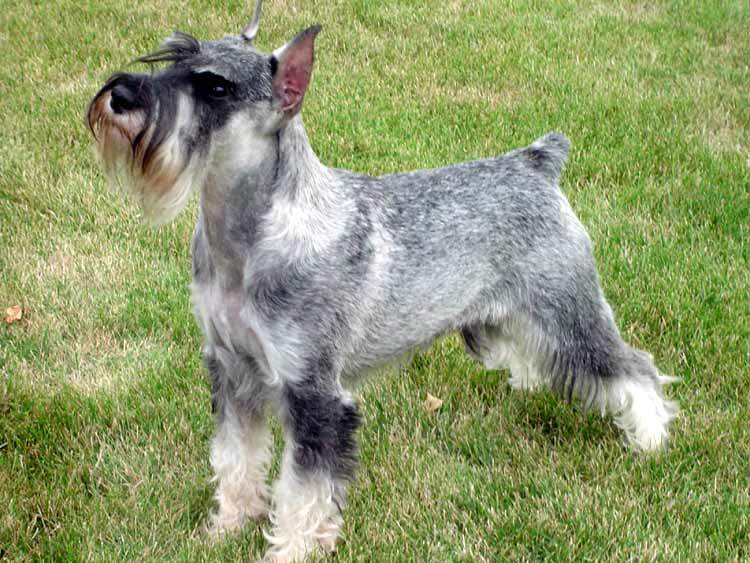 The Standard Schnauzer was introduced to America toward the end of the 19th century and was recognized by the American Kennel Club in 1904 as a member of the Terrier Group, making the Standard the first Schnauzer to achieve such recognition. Later reclassified as a Working Group member, the Standard Schnauzer served as a dispatch messenger during World War I and at one point was used as a police dog by various American and German police departments. During the 20th century, the Standard Schnauzer was surpassed in popularity by its Miniature and Giant cousins, and today enjoys limited esteem as a pet.